Two fish in this picture? Yes there are. 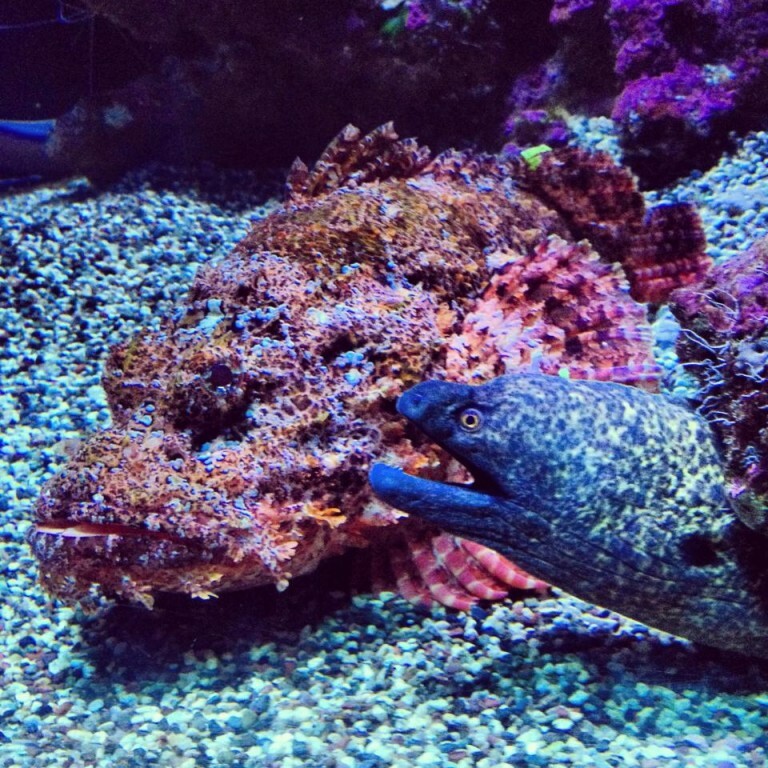 It may require a double-take, but the Moray Eel is actually hanging out with a well-disguised scorpion fish. Also called turkeyfish or firefish, this camouflaged hunter uses stinging spines to defend themselves from predators while the hide in wait for their prey. There are more than a couple hundred species of scorpion fish, one of which being the more well-known lionfish. These two buddies were pictured at the Maui Aquarium in Maalaea.